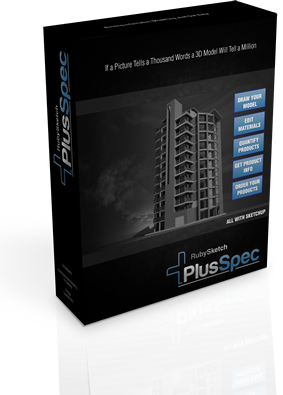 Buy PlusSpec for $990 per license. You have not signed in or your session is expired. Please login again. Intuitive tools for building and documenting 3D models. Receive the latest industry tools for a great value. Work more efficiently using a single, coordinated, 3D model-based environment that automatically manages design changes. Design and communicate ideas more clearly with 3D design and visualization tools that allow you to walk through a space using animation. Create professional presentations and construction documents. PlusSpec pre-release is licensed for commercial work. Move to BIM with a simplified user interface that helps shorten learning time.